With increasing expansion of the Internet of Things, embedded devices equipped with cryptographic modules become an important factor to protect sensitive data. Even though the employed algorithms in such devices are mathematically secure in theory, adversaries may still be able to compromise them by means of side-channel attacks. In power-based side-channel attacks, the instantaneous power consumption of the target is analyzed with statistical tools to draw conclusions about the secret keys that are used. 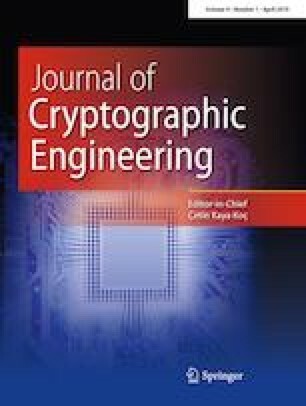 There is a recent line of work that additionally makes use of techniques from the machine learning domain to attack cryptographic implementations. Since a complete review of this emerging field has not been done so far, this research aims to survey the current state of the art. We use a target-based classification to differentiate published work and drive general conclusions according to a common machine learning workflow. Furthermore, we outline the relationship between traditional power analysis techniques and machine learning-based attacks. This enables researchers to gain a better understanding of the topic in order to design new attack methods as well as potential countermeasures. This work is supported in parts by the German Federal Ministry of Education and Research (BMBF) under grant agreement number 16KIS0606K(SecRec). See Tables 1, 2 and 3.